"The Greatest Stick and Rudder pilot who ever lived"
Robert A. 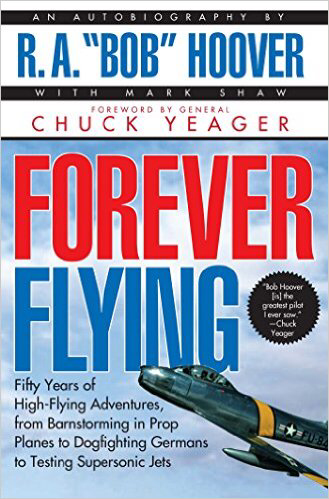 "Bob" Hoover wrote forever flying in 1996 he was going through issues with his medical certificate, a medical certificate is what legally allows pilots to fly aircraft and act as pilot in command and it's required for all aviators as it deems you fit for flight. While Bob was waiting for answer to whether his medical certificate would be reinstated, He decided to write an autobiography about his entire life and career as pilot aswell as all the ups and downs he faced as a aviator.